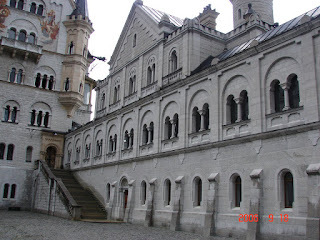 When I arrive in Munich at 7am I was told that my room at the hostel would not be ready until 2pm. 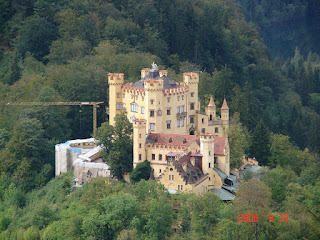 I got back on the train and went to Neuschwenstein Castle outside of Furren, Germany, which was the prototype used by Walt Disney for Sleeping Beauty and the Magic Kingdom. 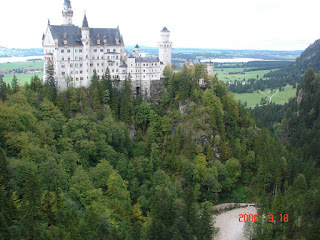 This was one of three castles built by Mad King Ludwig and was built on an isolated rock ledge amid heart-stopping scenery. 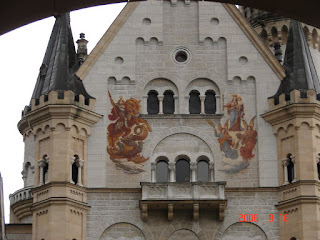 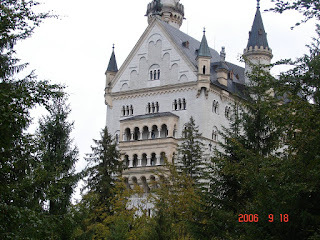 The Hohenschwangau is nearby and where Ludwig lived while overseeing the work of Neuschwanstein.